Sony has revealed its plans for the development of eight new lenses for its E-mount NEX range of cameras, with several zooms coming in the next 12 months. Unveiling the road-map at the CP+ photography show in Japan, few details were given about the new optics, but it will be encouraging news for current NEX users or those looking to invest into the system. Currently, Sony's offering isn't as wide as rivals from Panasonic and Olympus, although of course Sony DSLR lenses are compatible with NEX cameras via a specialist adapter. According to a graphic shown by Sony at the show, users can expect a high magnification zoom, a standard zoom, a wide angle zoom, all in 2012. A fast standard prime lens is also expected this year. 2013 should see a mid-magnification zoom, a middle telephoto prime and a "snap" pancake lens. Interestingly, the map also shows a "high performance standard zoom" that will slot into the company's G series of premium lenses. 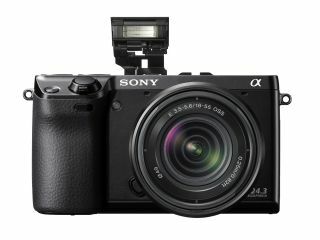 Rumours recently suggested that Sony will be announcing a full-frame NEX camera in 2012, and that it will feature both an A-mount (for DSLR lenses) and an E-mount in one, without need for an adapter. The addition of a G-series lens in 2013 would lead credence to these rumours, as Sony would likely want to offer a higher quality lens for the new camera.